Roussel Hall hosts weekly concerts, dance performances and lectures. Inquire to rent the hall today. 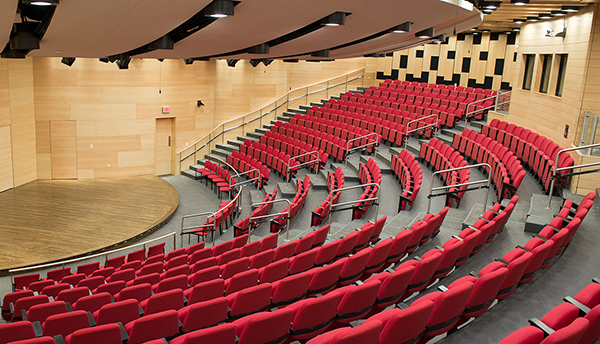 Loyola's Nunemaker Auditorium is the perfect location for lectures, film screenings and intimate concerts. Inquire today. Newly renovated Nunemaker Lobby overlooks tree-lined Calhoun Street. Request your reception here today. The Loyola College of Music and Fine Arts is proud to offer our facilities to members of the New Orleans community. We offer rentals of Roussel Hall, Nunemaker Auditorium, School Clinics and classrooms on the first and second floor of the Music building. To request one of our spaces, complete our online form below. Roussel Hall is a a beautiful venue for a variety of events, including dance recitals, lectures and graduations. 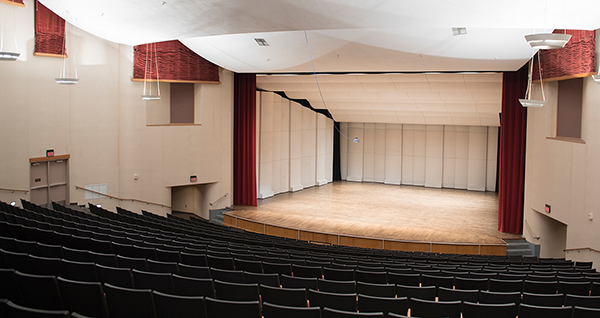 Due to its wonderful acoustics, Roussel is especially well-suited to music concerts such as the Loyola School of Music's annual opera production. Located inside the Communications/Music Complex on St. Charles Avenue near Calhoun Street, the hall seats 589 people, has wheelchair accessible seating, a tech booth and a spacious lobby lined with windows overlooking our courtyard. 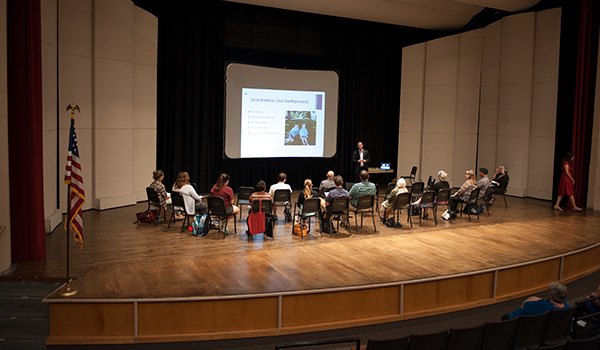 Recently renovated Nunemaker Auditorium is a popular location for lectures and intimate concerts. Located in Monroe Hall at the intersection of Calhoun Street and Marquette Place, Nunemaker seats 332 people, has wheelchair accessible seating, a tech booth and a spacious lobby lined with windows overlooking tree-lined Calhoun Street. Loyola welcomes school groups to visit Loyola for a music clinic. Student groups benefit from top-notch faculty member clinicians and the use of college-level facilities. A signed contract and payment are required to reserve event space. Space reserved more than 30 days in advance require 50% deposit at time of reservation. Remaining amount must be paid two weeks before event. Space reserved under 30 days require full payment at time of reservation. No space reservations can be made less than two weeks from event date. Events canceled under 30 days prior to event forfeit the deposit. Failure to provide certificate of insurance, reservation agreement, and remainder of payment two weeks before event will result in cancellation of event and forfeit the deposit. For questions about space rentals at the College of Music + Fine Arts, contact Jeff Zielinski at (504) 865-2148 or jazielin@loyno.edu.